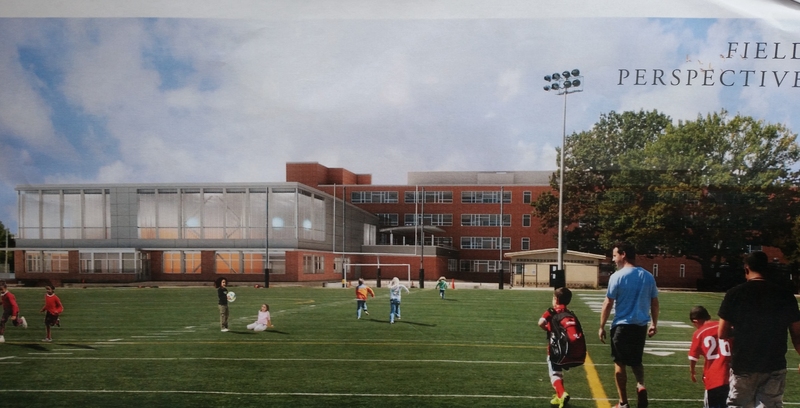 Following are images of the design concept by the architectural firm of Perkins Eastman DC for the Watkins Elementary School Project at 420 12th Street, SE. 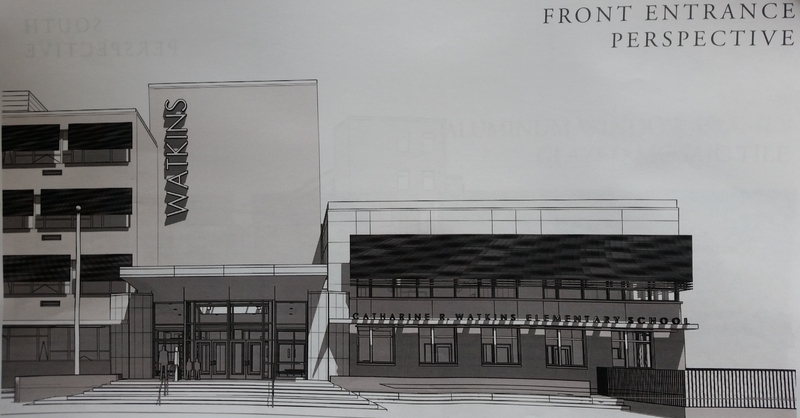 The design plan was submitted to the Historic Preservation Office on August 2. View from the playing field on the east side of the school. View from the south standing next to the Yu-Me Tree on the north wall of CVS. View from 12th Street in front of the entrance to the school. This is the Hine Project on August 1. While much of the city was on vacation, work continued so that five weeks later…..
Commander’s Run, September 17, DC National Guard: Lt Col Derek L. Demby. 133 Kentucky Avenue SE, 2nd story addition atop rear porch. 310 4th Street SE, 2-story rear addition. 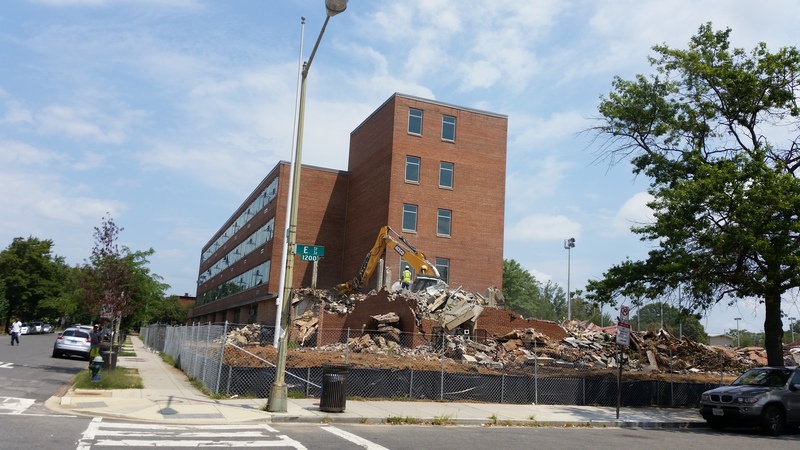 420 12th Street SE (Watkins Elementary School), renovations and addition: Department of General Services. 629 East Capitol SE, concept/alteration, new basement entrance, windows, and roof parapets. 1230 Pennsylvania Avenue SE & 1229 E Street, SE, development public space plan by SGA Companies Inc.
921 Pennsylvania Avenue SE, addition of memorial marker. 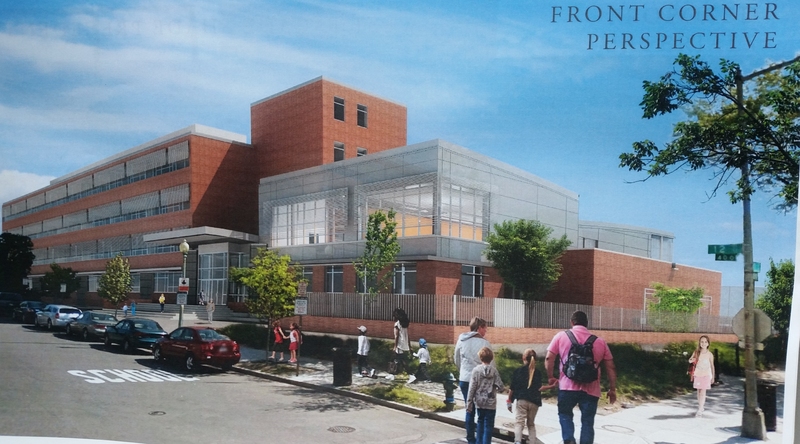 210 C Street SE (Capitol Hill Day School), changes to playground. 1625 A Street SE, two story addition to an existing one-family dwelling in the RF-1 Zone. 133 Kentucky Avenue SE, 2nd story addition to the rear of an existing one-family dwelling in the RF-1 Zone. 1736 Bay Street SE, two story rear addition to the rear of an existing one-family dwelling in the RF-1 Zone. Text Amendments, to Subtitle A §304 (Deviations and Modifications Permitted by Zoning Administrator’s Ruling) & Subtitle C §301 (Minimum Land Area for PUDs). 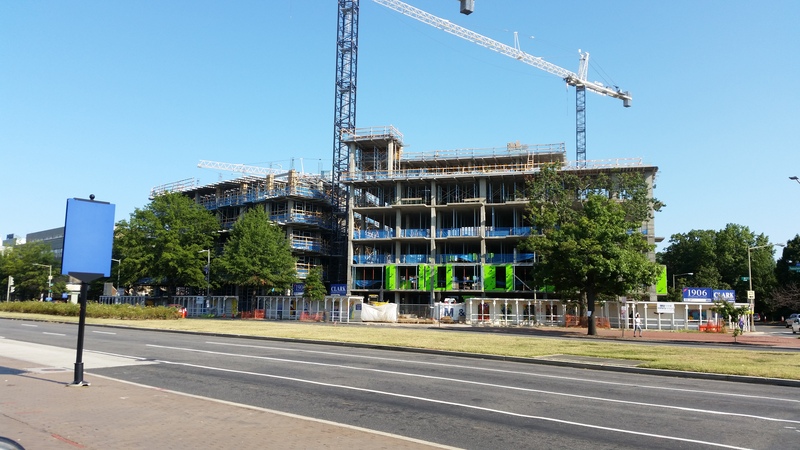 Status Report on ANC6B’s BZA Appeal No. 19275 Andromeda Substance Abuse Recovery Health Clinic. Historic District nomination of Union Market Terminal – Union Market Terminal is a large complex of wholesale warehouse buildings occupying an approximately 40-acre tract of land located just east of the intersection of Florida and New York Avenues with Florida Avenue forming its southern edge and New York Avenue its northern border. In its entirety, the complex includes more than six squares of connected warehouse buildings that were constructed over the course of several decades from 1929 until the present. 220 L Street, NE. Application of JS Congress Holdings, LLC, requesting approval of a consolidated PUD and related zoning map amendment for property located at 220 L Street, NE, and 1109-15 Congress Street, NE. The Property is bounded by L Street, NE, to the south, Congress St NE to the west, a public alley to the east, and private property to the north. The Property is currently improved with two structures, which will be replaced with a new mixed-use building comprised of residential uses and production, distribution, and repair (“PDR”) space. The PUD will provide approximately 59,254 square feet of residential use (including penthouse space) and approximately 3,580 square feet of PDR uses. Of the total residential gross floor area, the Applicant will dedicate 8%, or 4,740 square feet, to inclusionary zoning units, or approximately five units. The Applicant will devote two IZ units to households earning up to 50% of the area medium income (“AMI”); the remaining three units will be set aside for 80% AMI households. CastroHaase+Brown PLLC. 400 Florida Ave. NE. Application of EAJ 400 Florida Avenue, LLC, for approval of a consolidated PUD and related zoning map amendment for the property bounded by a public alley to the north, 5th Street, NE, to the east, Florida Avenue, NE, to the south, and 4th Street, NE. The Property is currently improved with two two-story structures and is otherwise unimproved. The Applicant proposes to raze the existing structures in connection with redevelopment of the Property to construct a new mixed-use building composed of residential and hotel uses. The PUD will include a total of approximately 98,836 square feet of residential use (110 units, plus or minus 10%) and approximately 65,540 square feet of hotel use (164 rooms). Of the total residential gross floor area, the Applicant will dedicate six percent to households earning up to 50% of the area medium income (“AMI”) and another six percent to households earning up to 80% of the AMI. ANC6C Parks and Events Committee will meet at 7:00pm at Capitol Hill Medical Center/Kaiser Permanente, 700 Second Street, NE, 2nd and G Streets, NE. NoMa Parks – Discussion with NoMa Parks Foundation concerning the status of NoMa parks. Representative: Stacie West, NoMa Parks Foundation. REI Opening – Discussion with REI concerning events and activities associated with the grand opening of REI’s new flagship store in NoMa October 21- 23rd. Representative: Matt Liddle, REI. 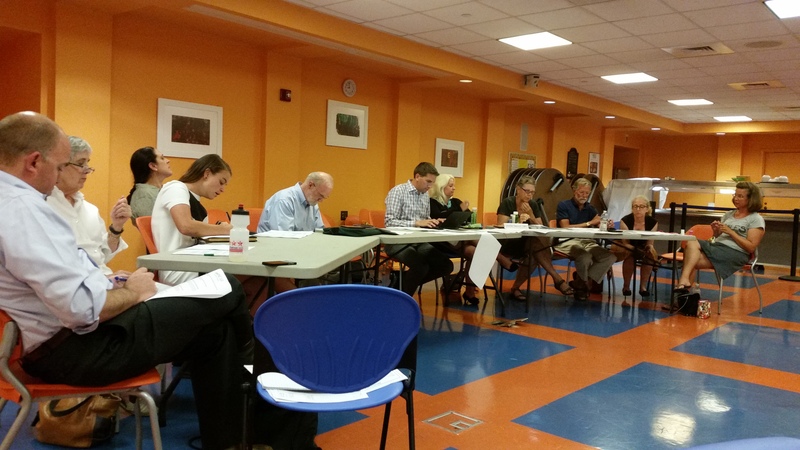 Review of DDOT Proposed Rulemaking to Revise the Residential Parking Permit System. Review of DDOT signal synchronization process along Pennsylvania Avenue, SE. Request DDOT to install light fixture in the alley behind 700 block of I Street, SE. Robert White, Candidate, D.C. Councilmember At-Large. Commander Morgan Kane, First District, Metropolitan Police Department. Letter to DDOT in support of the request that they use brick when working on the sidewalk on the 800 block of A Street NE to be consistent with the other sidewalks in the adjacent area. Letter to DDOT in support for a petition requesting a DDOT safety evaluation of the intersection at 8th Street, NE, and West Virginia Avenue, NE. Letter to DDOT in support of a petition requesting a safety evaluation at the intersection at 10th Street, NE, and Massachusetts Avenue, NE. Letter to DDOT in support for having a dedicated line for the streetcar on K Street, NW, due to the benefit it will provide for service for residents of ANC6A and other users of the streetcar. Letter to Bureau of Zoning Adjustment in support of the PUD for a landuse designation change from the existing C-2-A to C-2-B in order to develop the property at 1701 H Street, NE. Letter to HPRB in support of the concept/construction of two (2) story carriage with roof deck at 313 11th Street NE, pending receipt of letters of support from adjoining neighbors. 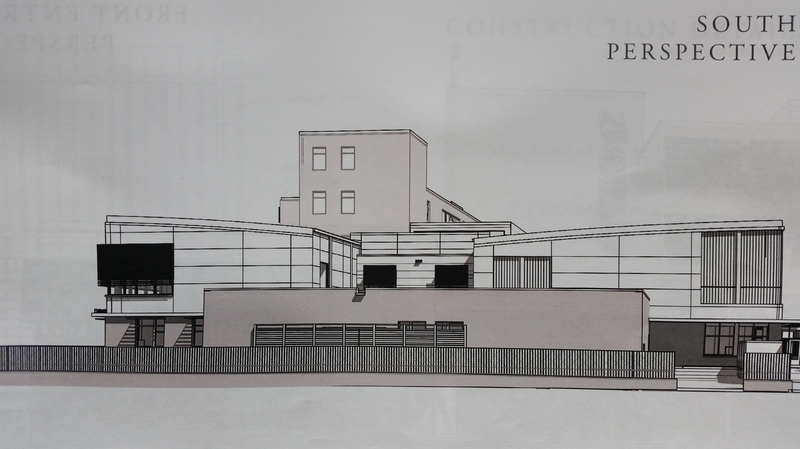 Consideration of HPRB review of proposed third story addition to 1116 Constitution Avenue NE. ANC6B Alcohol Beverage Control Committee meets at 7:00pm at the Hill Center, 921 Pennsylvania Avenue, SE. Ziaafat Grill & Restaurant, 1102 8th Street SE, new Class C Restaurant license with sidewalk café endorsement. Matchbox, 517 8th Street SE, withdrawal of protest on renewal of Class C license. Ted’s Bulletin, 505 8th Street SE, withdrawal of protest on renewal of Class C license. District Taco, 656 Pennsylvania Avenue, SE, substantial change for sidewalk café with seating for 10 with sales/service 8am to 9pm, Sunday thru Saturday. 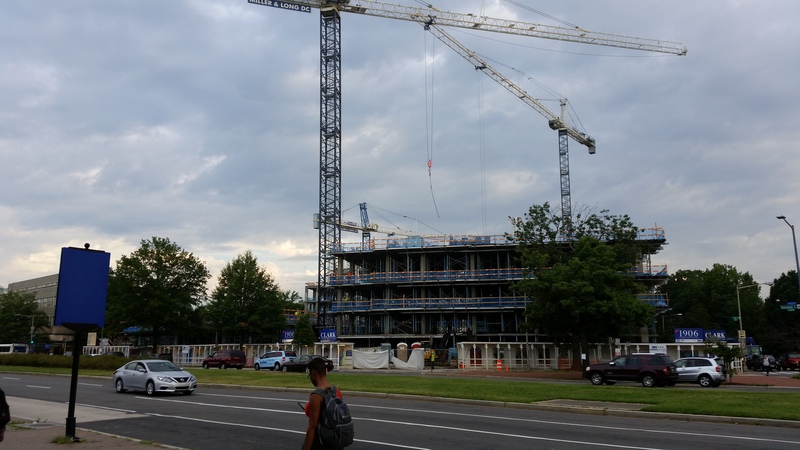 Report on the Status of ANC 6B License Renewal Protests: Good Stuff, Bearnaise, and We the Pizza; Hank’s on the Hill; Ambar; and Matchbox and Ted’s Bulletin. 3. ANC 6C Transportation and Public Space Committee will meet at 7:00pm at Kaiser Permanente Capitol Hill Medical Center, 700 2nd Street, SE. 501 H Street, NE, public space plans and traffic control plans. Constitution Square traffic control plan. Recommendation for DC to take ownership of two alley lots. Maryland Avenue redesign – median reduction on 600 block. New parking regulations (including Resident Only rules).